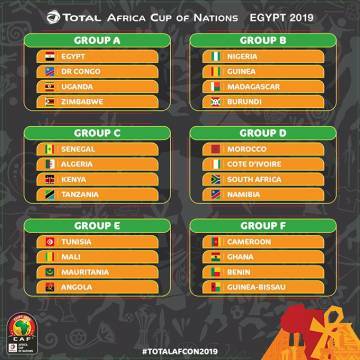 Zimbabwe will play Egypt in the 2019 Afcon finals opening match after they were drawn against the hosts in Group A. The Warriors have also drawn the Democratic Republic of Congo and Uganda to complete the group. Sunday ‘Mhofu’ Chidzambwa’s men will face DRC again, having been in the same group in the qualifiers. They managed to beat them 2-1 away in Kinshasa before playing to a 1-1 draw at home. Before the draw, Mhofu has said he is ready to play any team and are aiming to proceed to the next round. Zimbabwe were knocked out in the first round in all their previous three participation. “We want to do well this time. If all things goes well we want to go past group stages this time,” said Mhofu. Two teams proceed from each group with third best-placed teams completing the round of 16.